The announcement came to me in the form of a screenshot of an Instagram post. In the final month of this current year, the Space Jam would make its return. 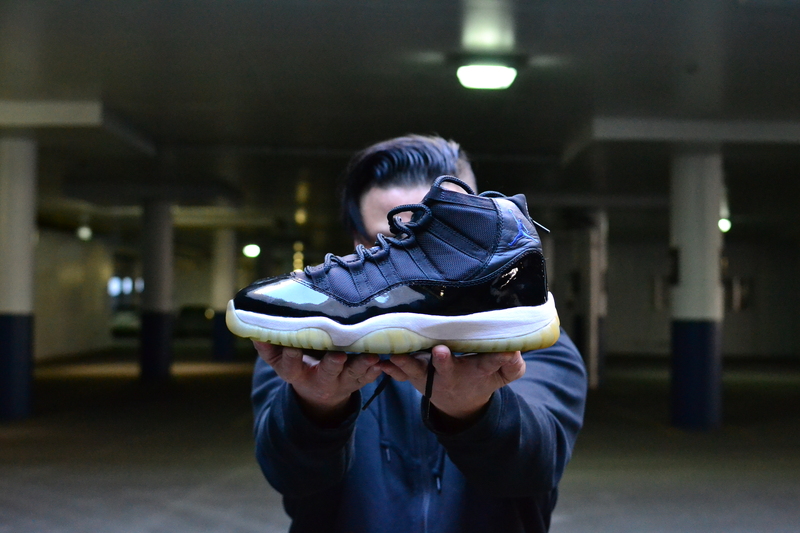 We all have our favorite shoe, our grail, our precious. The one sneaker that means more to you than it does to anyone else, because nothing is more personal to you than your own memories of why this one shoe is the only shoe you’ll ever truly NEED. Trends in the sneaker world change furiously and to keep up is to see your own style change from time to time. My footwear choices in recent times have tended towards the sleeker, lighter, more minimalist/anti-minimalist styles. I’ve joined more Euro groups on facebook and the lot of my shots taken for Instagram focus on showcasing the perfect angle for lower cut sneakers. Heavy is the state of the runner in my rotations. 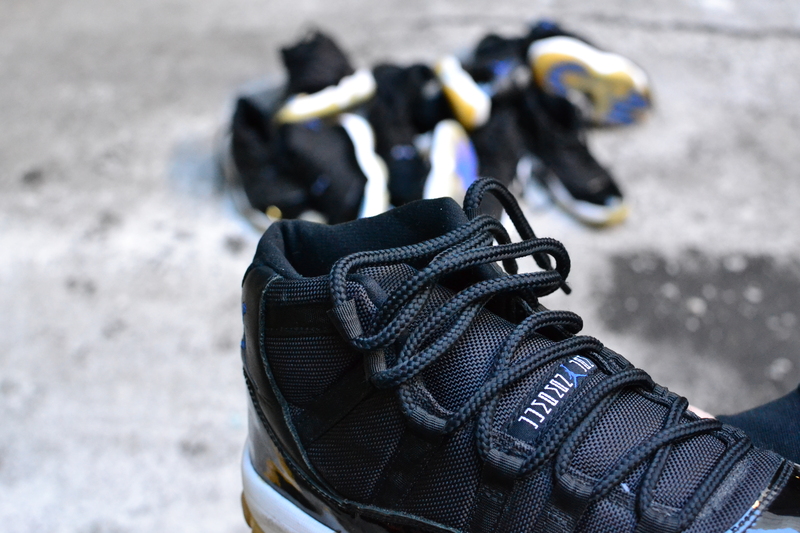 Since the announcement though, I’ve fallen back into the entitled feeling that the Space Jam is mine. It has always been mine. Mine, from that first time winning that auction on eBay, getting them in the mail, lacing them up, and hitting up basketball practice. I was un-containable that day. I don’t actually remember what happened during practice, but I remember looking down at my feet and seeing that hit of blue, peering from that cloak of black patent leather and mesh. I had found my no. 1, but I didn’t quite fully know it yet. 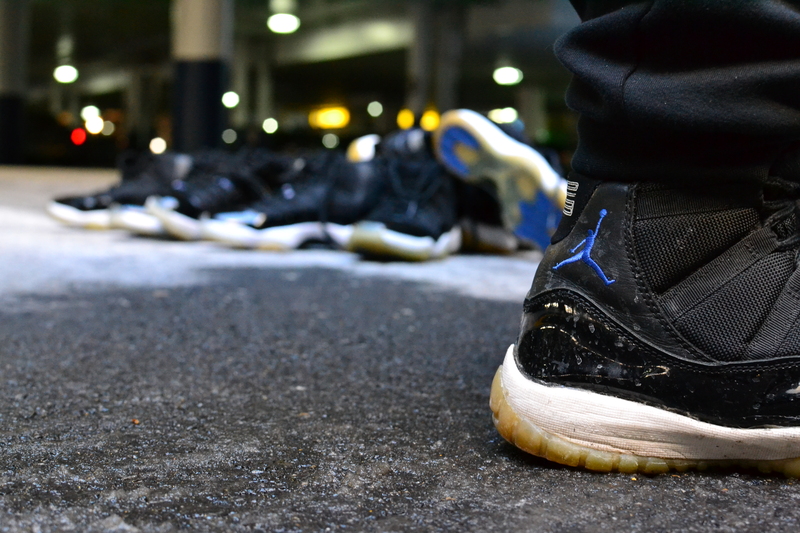 It wasn’t until 2010 that I got really involved in sneakers and sneaker forums. I found myself buying pair after pair of the 2000 and 2009 versions of the same shoe. In different states of worn, yellow soled; every pair was singular in its beauty and importance. “You are the pair I will wear through any type of weather… Your sacrifice will be remembered” is what I would insanely say to my Jams. Flash forward to the beginning of this past week, and I am messaging Clo to see if he’s available to take a few shots of my Space Jam collective. It is cold, so we set up in a parking lot. We find some light and some empty space, and shot after shot, I find myself in the ferocity of the contrast between the white writing on the black upper. 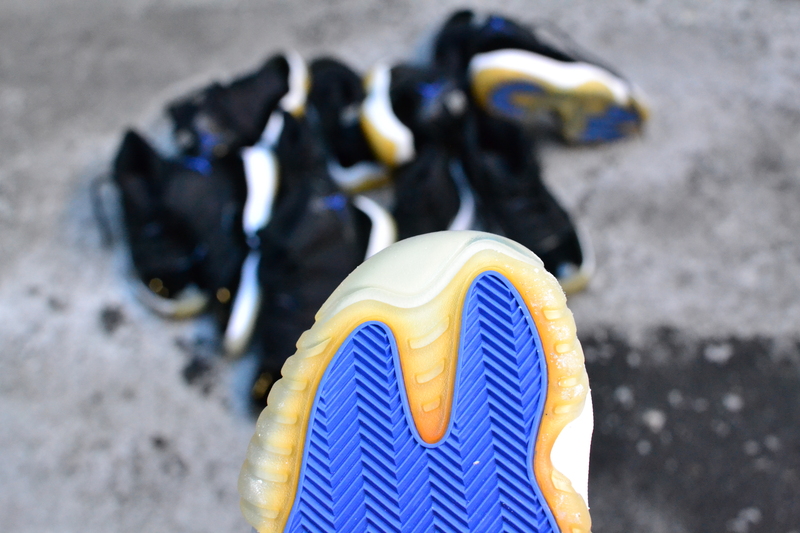 I remember the luxury of the stressed leather on the back of the shoe contouring the regal royal blue, stitched Jumpman. I dive into the fluidity of the patent leather wrapping around the whole shoe, wrapping around the thought of how I would be happy if I owned just this one pair for the rest of my life. Like, even shots that aren’t set up to be shots made us say damn! 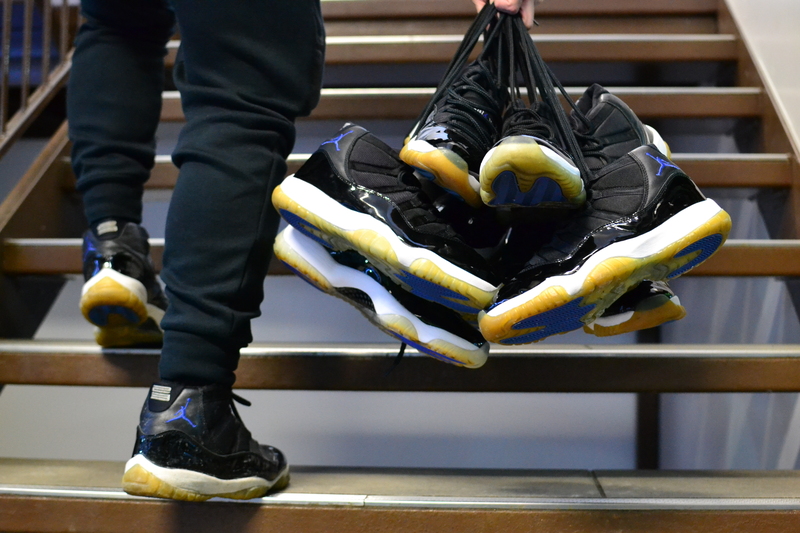 Looking at my bags of Space Jams, I knew the time would come when I’d have to decide whether I needed another pair once the holidays rolled around. 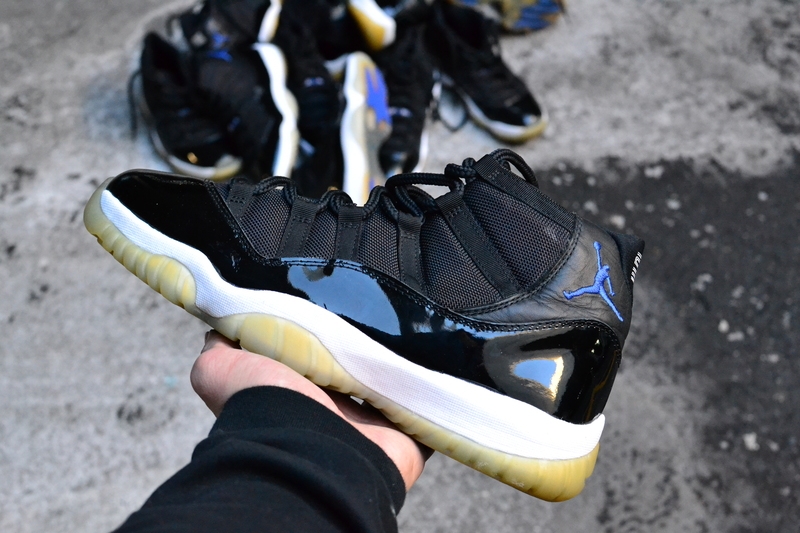 My friends would note, you’re the Space Jam guy, you kinda need to get them all. I have enough pairs to last me a lifetime. I have some that aren’t even worn yet. Getting one more pair to add to the closet, I asked myself if it really mattered. Then I realized, in the first month of the year, for all my sneaker wants and wishes, nothing mattered anymore till December.